I offer friendly guidance and editing services for your writing projects (short stories, novels, essays, blogs, etc.). Still in the early stages or not sure what your project is yet? I'm happy to offer 'coaching' advice as well. Let's discuss your ideas and get them down on the page. See the CONTACT page and shoot me an email to chat about this. Weekly memoir, collage, poetry, nature writing and singing classes offered to registered Kripalu guests. please send a message via the contact page for details about hosting a private writing retreat in your home for friends. like a house concert with pens. As a creative writing adjunct professor at Rutgers University (2002-2010), I taught fiction and non-fiction courses to students with rich stories to tell. I now serve as writing faculty for Kripalu Center for Yoga and Health and the Berkshire Festival of Women Writers; the stories I hear continue to hold fascination. In addition to traditional writing workshops in fiction and non-fiction (in which members read one another's writing over the course of several meetings), I offer non-traditional classes (day, weekend or week-long). Please scroll down for details. I believe in creating a safe, supportive environment in which writers can feel free to be messy and bold. I believe in honest kindness and kind honesty. I like to make jokes. I can't promise they'll be funny. I'll never force you to share words that need to remain private. I consider it my privilege to hold space for your creative efforts. "I like that you’re in the world, Lara Tupper." "Everyone was singing your praises! You had a great crowd. You have such a lovely down to earth sincere presence and open manner, it was a pleasure to meet you in person and to be a part of your workshop." "Lara is tough but tender." "This instructor is kick-a$$. Love her!" "Lara is a very focused and compassionate teacher." "She rocked the house! It was perfect. I just want to see her sing!" "Lara created a positive atmosphere and I enjoyed the conversation she facilitated!" 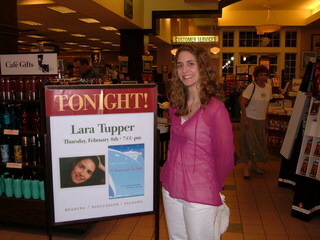 "Lara is a world class writer and teacher." "[Lara] is an inspirational presenter." "The writing class was my favorite. She is amazing!" 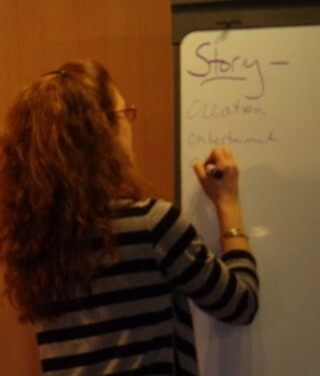 "Ms. Tupper, who presented the writing workshop on New Year's Eve, ran a fantastic session and stimulated an urge to write fiction that I'm very excited about." Friday, March 9, 2018, 7:00 pm, Lenox Library, Lenox, MA: celebrate the power of women's words in honor of International Women's Day 2018. Readers will share short excerpts from Writing Fire: An Anthology of Women's Words (Green Fire Press) and new work. Tuesday, November 7, 2017: On Election Day 2017 (ie: the one year anniversary of Election Day 2016), join me for for a short and painless journaling exercise, completed at your leisure, wherever you happen to be. No writing experience necessary, just a willingness to consider positive intentions on this day. Part of the #ConciousnessAndCoffee movement, I invite you to spread the word and and prepare your favorite hot beverage. I'll post the specific writing prompt on the Facebook event page on November 7. 1:30 - 3:30 pm, Bard College at Simon's Rock, Great Barrington, MA: Child's Play--“Anybody who has survived his childhood has enough information about life to last him the rest of his days,” said Flannery O’Connor. In this informal writing workshop, we’ll mine childhood details and draft sketches of past feats and foibles. We’ll look at published examples of writing about childhood (both from a child’s perspective and an adult’s perspective) and share our work in a supportive, friendly space. Please bring your writing tools (journal and pen or laptop) and a willingness to reminisce. $35. 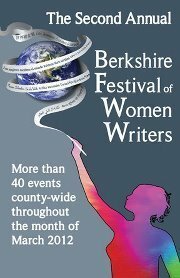 To register, please visit berkshirewomenwriters.org. Sunday, October 23, 2016: Please send a message via the contact page for details about hosting a private writing retreat in your home for friends. like a house concert with pens. Friday, September 23- Sunday, September 25, 2016: what's your story? a weekend memoir-writing retreat. complete a series of writing exercises, hear recollections from others and learn tips for sustaining a writing practice at home. no prior writing experience necessary, just a willingness to recall past and present details in a supportive, friendly space. Please call 413-562-3627 for registration details. 7:00 - 9:00 pm. FREE. prose and songs with the beeline ramblers! 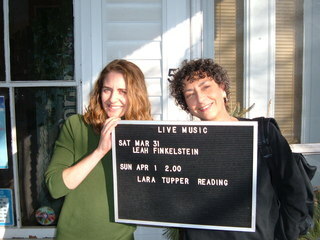 lara reads new fiction and sings a few folk/pop favorites, accompanied by fran and lisa mandeville. 1:00-5:00 pm, Crowne Plaza, Pittsfield, MA. Come say hello! I'll read my essay from the festival anthology, Writing fire, at 4:15 pm. (tel: 413-562-3627 pre-registration is required.) April 11-13 (Friday-Sunday), What's Your Story? Sunday, March 9, 1:30-4:30 pm: What's Your Story? JUNE 16-20, 2013: Soak in fresh air and new writing ideas in the scenic Berkshire hills. Just as Henry David Thoreau did his best thinking while sauntering through the Massachusetts woods, this workshop offers the opportunity to be guided by the beauty of Kripalu’s grounds, classic poems and essays on nature, and creative writing exercises designed to cultivate awareness. Thoreau, who walked with little regard for speed or purpose, provides an apt lesson in being present with what is. "What's Your Story? 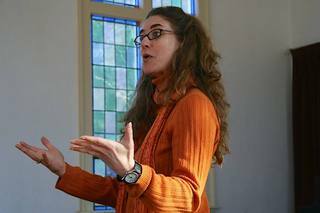 "- an introduction to creative writing offered to registered Kripalu guests in October, November and December of 2011. 12th floor, 7:00 PM. FREE. Six-Word Memoirists read with Jonathan Ames, Ricky Moody, etc. Pianos. 158 Ludlow St., 7-9 PM, $5. I'll read my short story ("Ting") from the new issue. "Approaches to Historical Fiction" : Panel Discussion with authors Varley O'Connor, Vyvyane Loh and James Reed. Come celebrate the Harbor Journal, Volume II, at the Southport Town Hall from 12:00 -3:00 PM. "Books and Blooms." sponsored by the Maine Writers and Publishers Alliance, Coastal Botanical Gardens, Boothbay, Maine, 12:30-3:30 PM. Join LT and other Maine writers for an afternoon of books and cool plants. "The Rutgers University Libraries' annual exhibition and reception will shine a spotlight on the superlative scholarship at Rutgers by highlighting the recent publications of university faculty. Publications will be added to the Rutgers University Libraries’ collections when the exhibition closes." The exhibition will run from March 27 to April 30. To RSVP, call 732-932-7505, or email events@rci.rutgers.edu. NOVELTOWN interview, complete with Barry Manilow pix! Noveltown: I noticed on your website that you are a member of the Barry Manilow International Fan Club. Was that for professional reasons or are you a true Manilow fan? Lara: We Fanilows need to stick together! I'm absolutely serious about my BMIFC membership--there's a long, sad tale that follows. I'll try to make it short: My Nana bought my first Barry album when I was five. As a 'tween I had a Barry poster (white jumpsuit, feathered hair, medallion) and actually kissed it every night. I had a bumper sticker (BARRY M. LOVES LARA T.) and somehow convinced myself that he'd sent it personally (again--my Nana). And then, in 1993, I worked at Interlochen Arts Camp in Michigan and SANG with him! He needed a back up choir for a concert there, the very last verse of "I Write the Songs" at the end of the show. So I sang the song and that was it--I never even met him backstage. I've since been to Vegas to see him with my mom and to Madison Square Garden to see him here in NYC. He's my Myspace friend, which is nice, but I'm still dying to meet him. I've even thought about enlisting Oprah—she has a page on her site called Do You Want To Meet A Hot Celebrity?. (If you apply and have a convincing enough case, she'll help out.) I think Barry would enjoy the book—he was a lounger himself in the early days. New short story in "Fivechapters," 4/07. NOW out from Zone 3: "Glass," a NEW short story by LT (Honorable Mention, Fiction Award 2006, fall 2006 issue). "Zone 3 is a non-profit journal published by the Center of Excellence for the Creative Arts at Austin Peay State University in Clarksville, Tennessee. Single issues are $5.00; please address orders to the editors of Zone 3 at Box 4565, Austin Peay State University, Clarksville, TN 37044." Hope you enjoy! Hosted by Jonathan Lethem, Tess Gerritsen, Jennifer Boylan, Richard Russo, Richard Ford and the Maine Writers and Publishers Alliance. BOOK SIGNING: Saturday, July 21, 2007, BOOTHBAY, MAINE, Books and Blooms (sponsored by the Maine Writers and Publishers Alliance), Coastal Maine Botanical Gardens, Barters Island Road, 12:30 to 3:30 PM, (207) 633-4333. READING: Wednesday, July 18, 2007, BOOTHBAY HARBOR, MAINE, Boothbay Region Memorial Library, 4 Oak Street, 7:00 PM, "Under the Lilac Groves," 207-633-3112. READING: Wednesday, June 13, 2007, PORTLAND, MAINE, Brown Bag Lecture, Portland Public Library, 5 Monument Square,12:00 NOON. BOOK SIGNING: Monday, June 4, 2007, BOOTHBAY HARBOR, MAINE - Sherman's Books, 5 Commercial St., 6:00-8:00 PM. GUEST SPEAKER, ALUMNI BANQUET: SUNDAY, JUNE 3, 2007, for graduates of Boothbay Region High School, Fisherman's Wharf, BOOTHBAY HARBOR, MAINE, 6:00 PM. I'd love to see familiar faces from the class of '91! MAY 23, 2007: RADIO APPEARANCE, The Joey Reynold's Show, LIVE Tuesday night/Wednesday morning. If you’re able to tune in from 2:00 AM to 3:00 AM EST (May 23), please do! West Village Barnes and Noble (396 6th Ave at 8th St.), 7:30 PM.